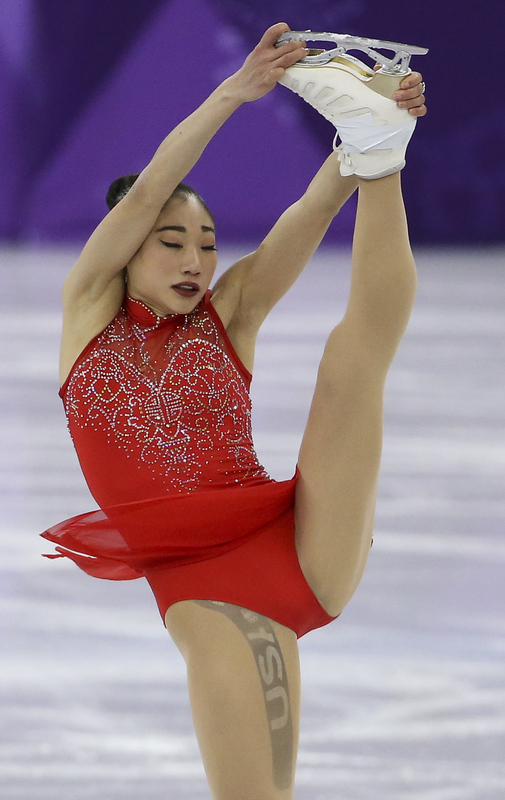 During her routine, it appeared as if Mirai had “USA” tattooed down her thigh. While that would have been baller if it was the case, what you saw was just therapeutic tape. In fact, you can even buy your own Team USA KT Tape like Nagasu’s online, which is meant to relieve pain and provide support to sore muscles, joints, and tendons. After Twitter worked itself into a frenzy over speculation that Nagasu had a giant thigh tat, Nagasu set the record straight by retweeting someone who explained that she’s just wearing tape. …is not the badass tattoo you thought it was. On the bright side, this entire debacle led us to Nagasu’s Twitter account, where we learned that she is clearly a woman after our own hearts. She’s a Pitch Perfect fan who also wants to meet Leslie Jones? Same.